If you’re keen to try out a pancake-flipping race yourself, this is the race for you. All in the name of a good cause, the Greenwich Pancake race is a team-event that pits hopefuls against each other – all desperate to get their hands on the winner’s medals. There are actually two days to compete in – the Saturday preceding pancake day (Feb 10th) as well a Shrove Tuesday itself. 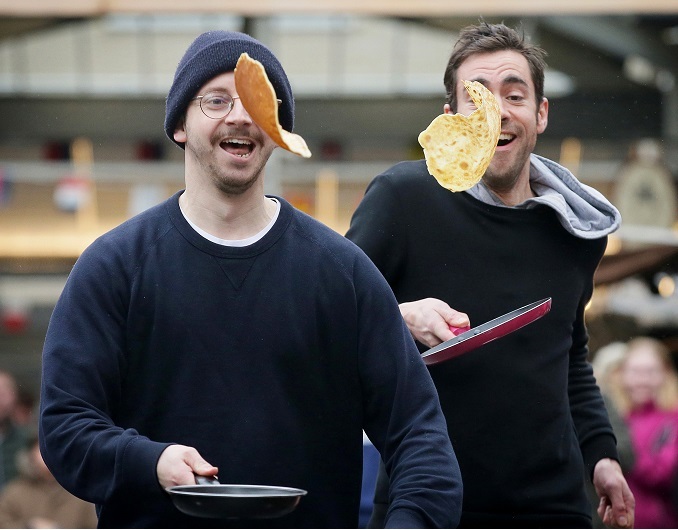 All who compete receive a free pancake and there will be plenty more available from market stalls nearby too. Team registration is required but is free. Fancy dress is optional and proceeds will go to the The Greenwich & Bexley Community Hospice. Teams please register at anna@grenhosp.org.uk and prepare to get flippin!